As early as 1939, there were discussions about building one Methodist Church in Easton. It was a big step forward when Calvary and Trinity churches merged in 1951. 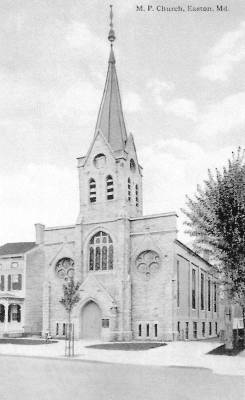 On December 10, 1952, Ebenezer merged with Calvary-Trinity to form St. Mark's Church. Calvary Methodist Protestant Church was built in 1857 and stood where the current Safeway grocery store is located. 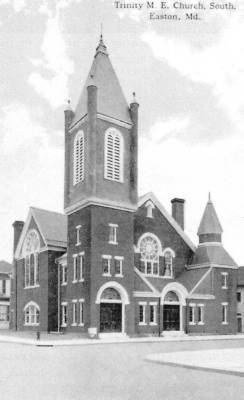 Trinity Methodist Episcopal Church-South was situated at the northeast corner of Goldsborough and Harrison streets and was built in 1874. Ebenezer Methodist Episcopal Church was built in 1856-57 and is still standing on Washington Street and houses the Talbot County Historical Society. The three church congregations came together in 1952 with a vision and great faith to form St. Mark's Methodist Church. They decided that the new church would be named for John Mark, who recorded the gospel of Mark and was a missionary companion to Barnabas and the apostle Paul. 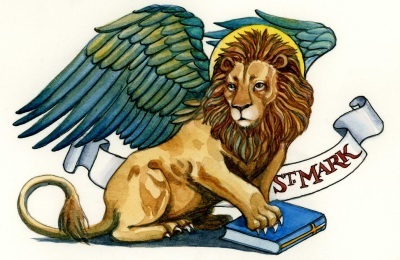 St. Mark is symbolized as a winged lion, representing strength, majesty, courage, and fortitude. From the beginning, St. Mark's Church had a similar vision of nurturing the life of faith in Christ through worship, study, and fellowship. 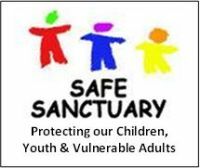 The congregation worshipped several years in Feollowship hall until enough funds were raised to build the Sanctuary which was completed in 1961.